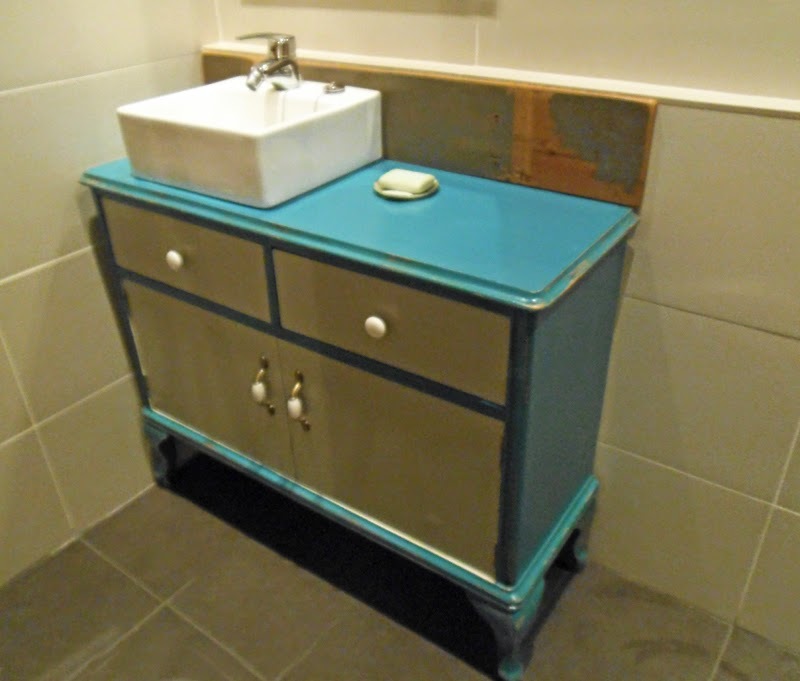 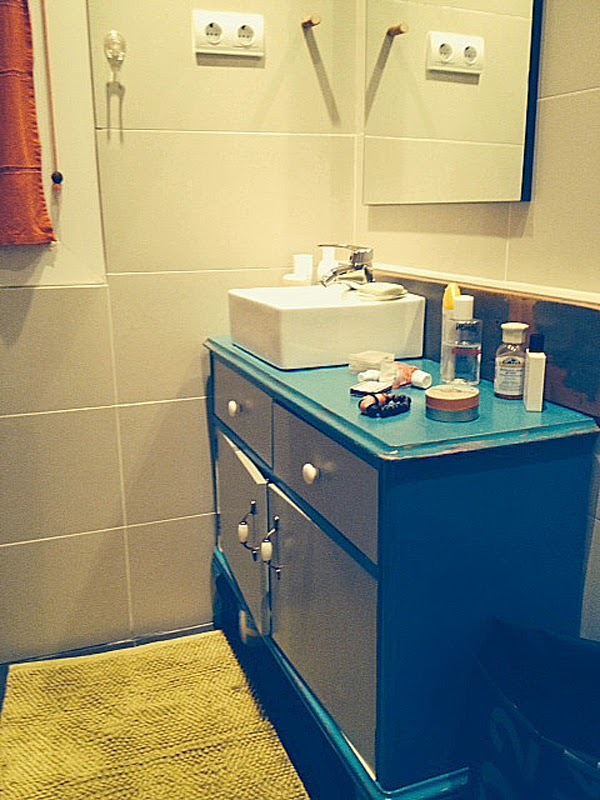 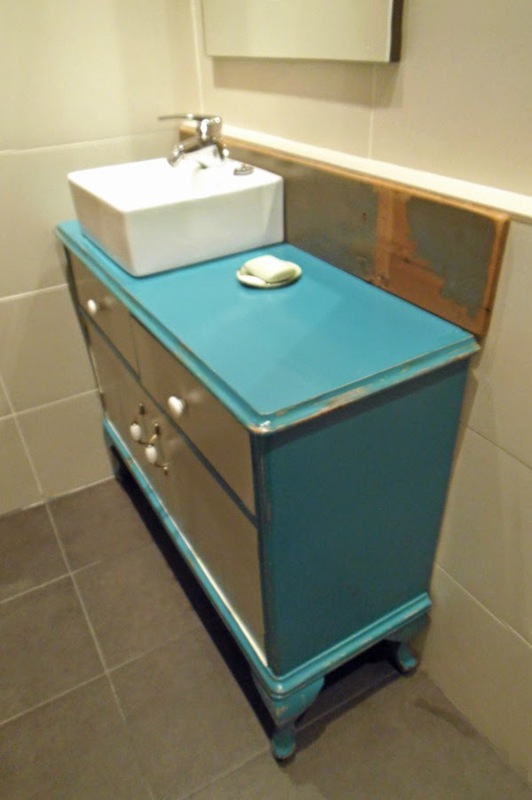 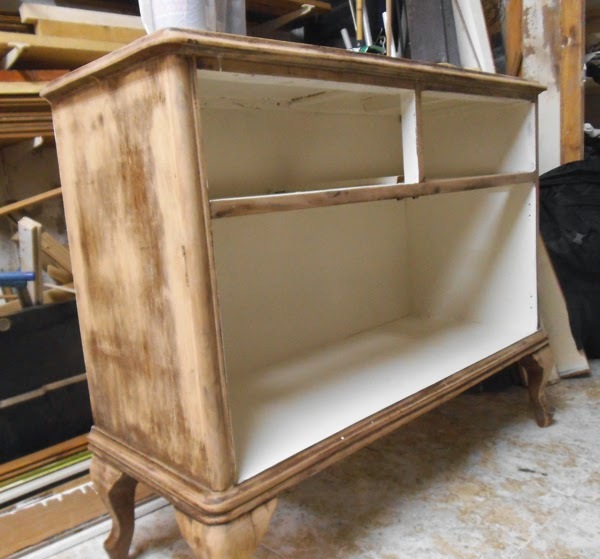 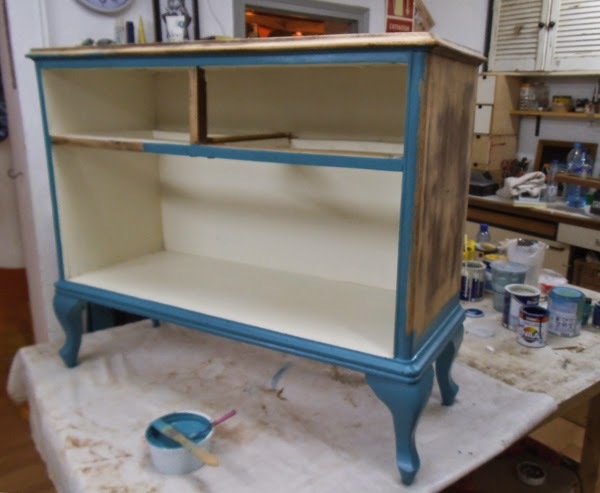 Here is another element commissioned by the fine lady who's lovely flat is being refurbished by 1Unik, one pice at a time: the transformation of an old dresser into a sink cabinet with a bold finish! 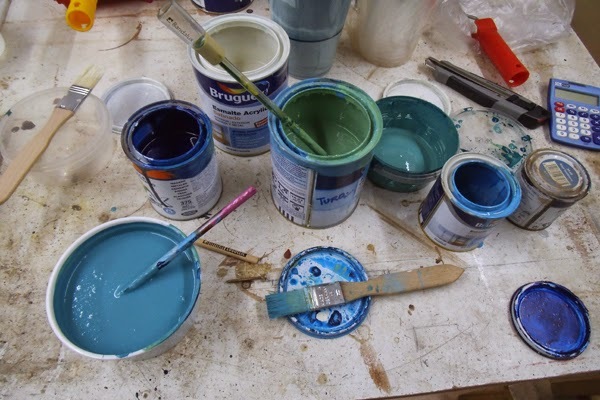 Check the 'Making Of' section here below for a detailed description of the whole process. 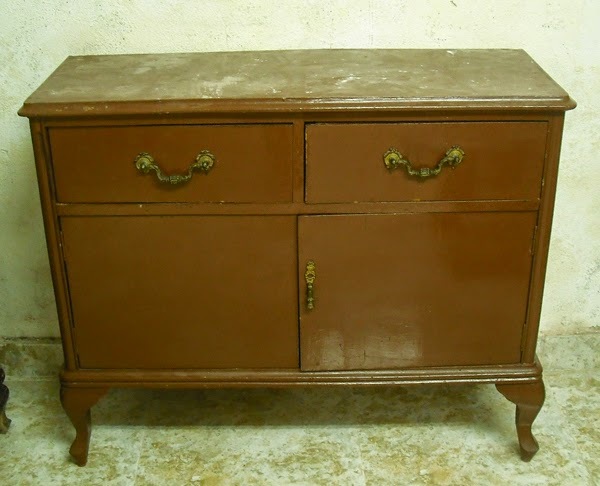 Measures: 92cm long, 34cm deep, 76cm high. 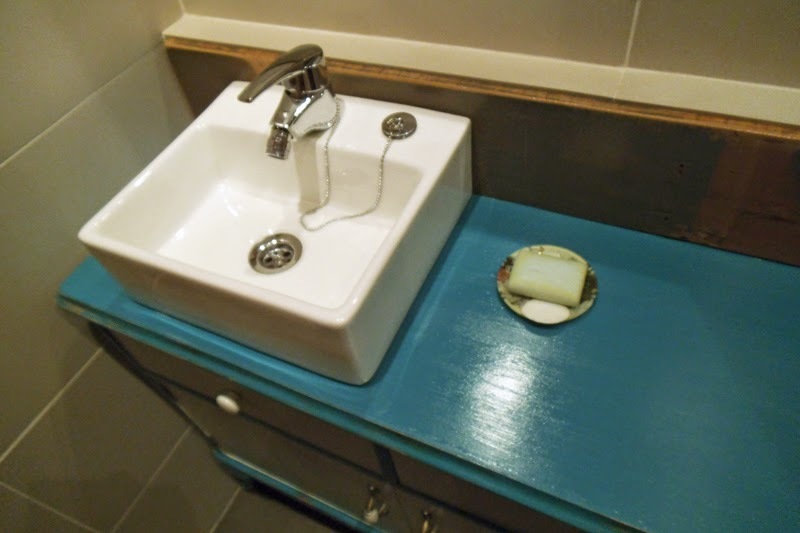 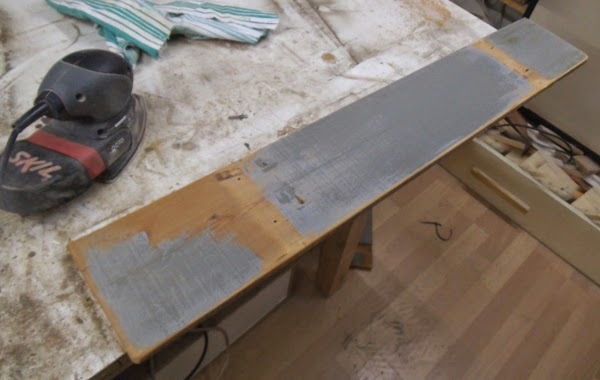 THE MAKING OF: The sad looking old vanity, before its transformation -and once Matt Taylor scraped off the layers of paint and varnish, plus painted the back and interior with a water-resistant white paint. 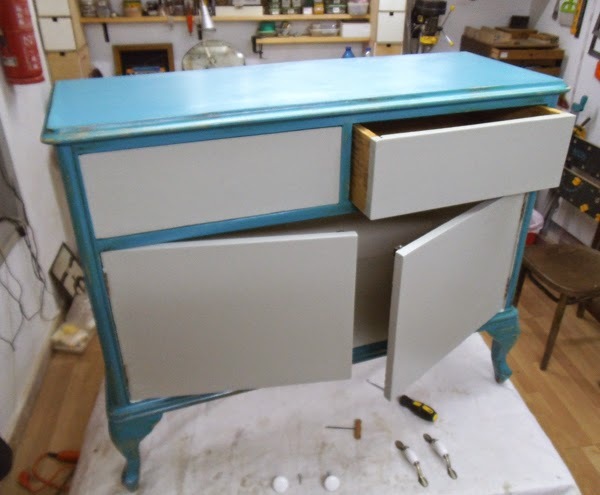 Painting the drawers and doors fronts in light gray; mixingthe enamel paint to get the intense turquoise colour chosen by the customer. 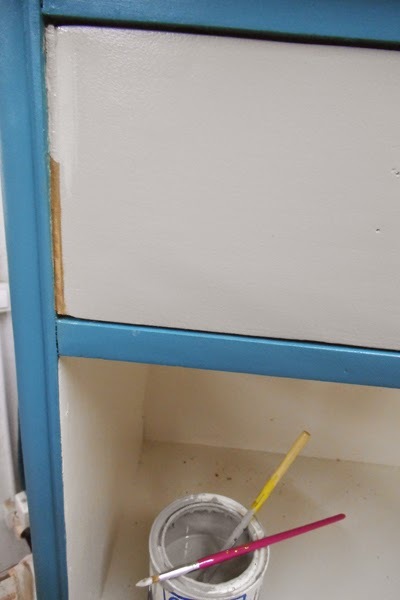 Painting the structure of the cabintet, then fixing the left drawer front to it (to hide the pipes of the sink, once installed). 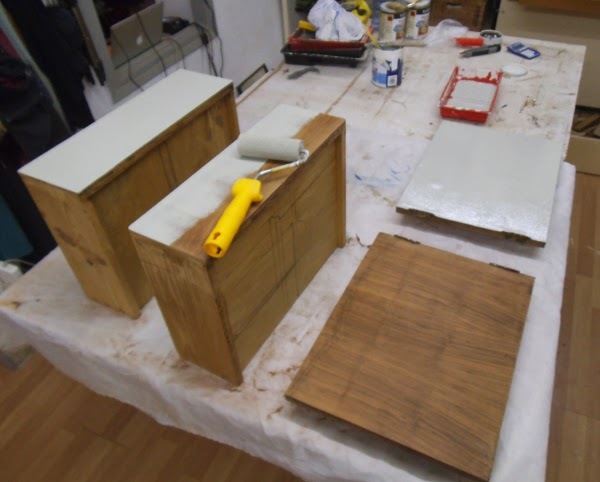 In the picture on the left I am carefully painting the thin strips of wood that I used to fill in the gaps left by the drawer front. 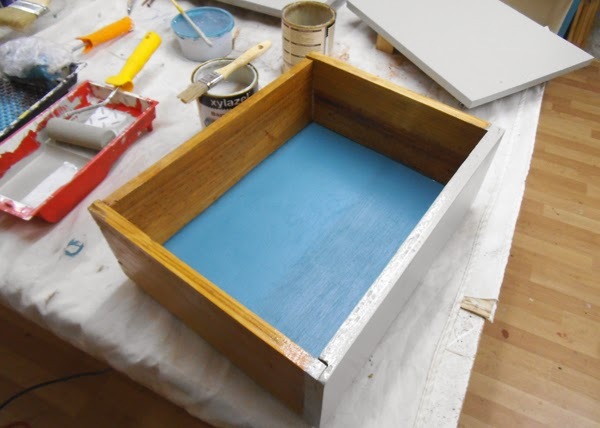 The inside of the 'working' drawer was also painted in turquoise. 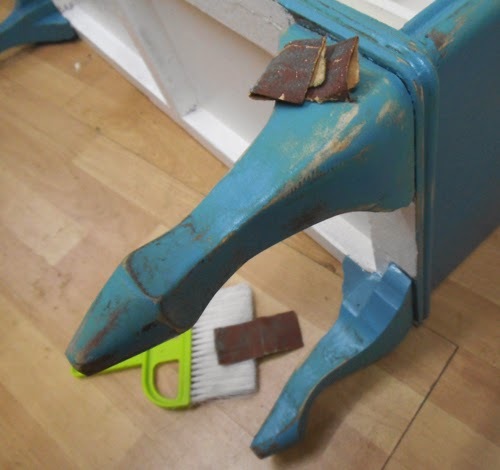 Making the distressed look. 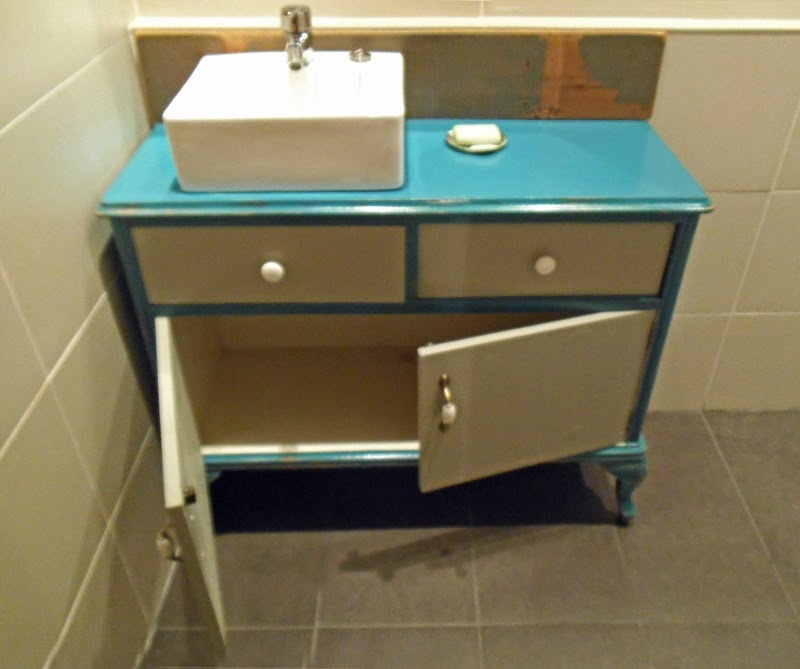 The cabinet, almost finished: already sealed with several coats of varnish, it was just the porcelain handles left to be fixed!. 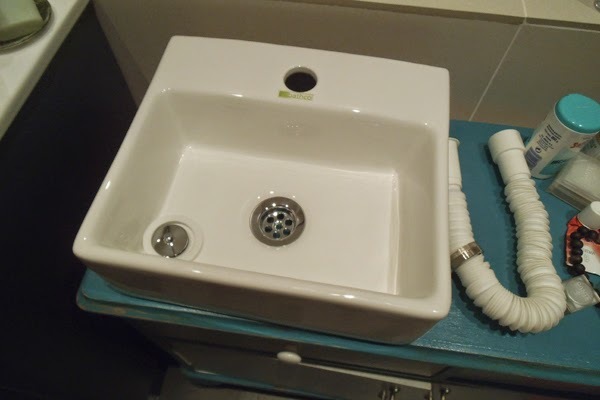 On the left hand side, installing the sink at the customer's bathroom. 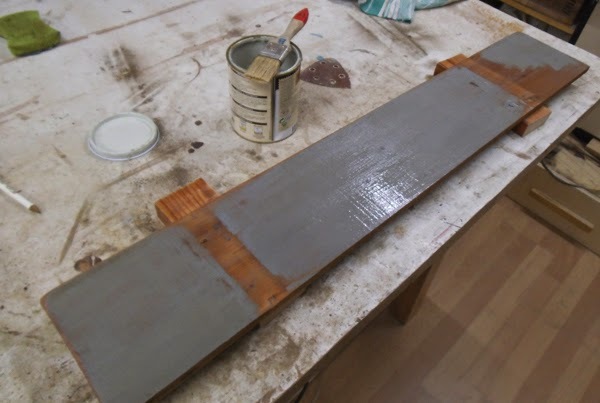 A final detail: the backsplash made out of an old pinewood board, cut to measure, slightly sanded and sealed with several coats of clear varnish.